The final expansion to this aging game is a decent sendoff for fans, but it may be unfriendly to newcomers. That’s kind of how I feel playing SpellForce 2: Demons of the Past, published by Nordic Games and developed by Mind Over Matter Studios. 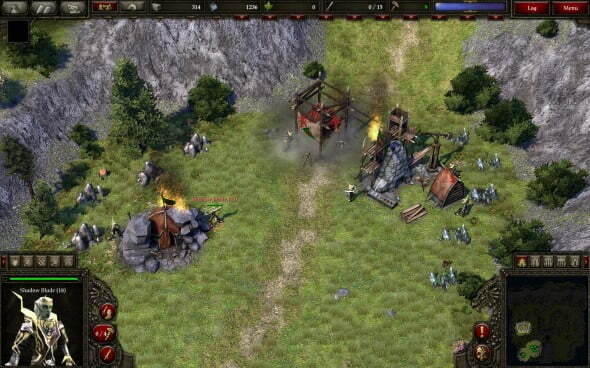 There is no denying that in its heyday, SpellForce 2: Shadow Wars was one of the best hybrid RPG/RTS games ever made. It had its foibles, such as voice acting, but in my humble opinion these merely added to its indie charm. In terms of gameplay, what it lacked in the strategic depth of Blizzard’s *craft franchises it more than made up for with solid roleplay story focus. In short, if you have never played SpellForce 2: Shadow Wars, go to Steam right now and get it. But SpellForce 2: Demons of the Past? Well read on and decide for yourself. SpellForce 2: Demons of the Past ends the final trilogy of the SpellForce 2 series, in anticipation of SpellForce 3 currently in development. You control an avatar, a Shaikan dragon-blooded hero who travels alternately with a small cadre of followers on RPG quests, and large armies you construct on the field RTS-style. Each hero has unique abilities that you develop through a Diablo-2-esque talent tree. You can switch between overhead isometric and third-person cameras, so you can play either as your avatar or as the master puppeteer. 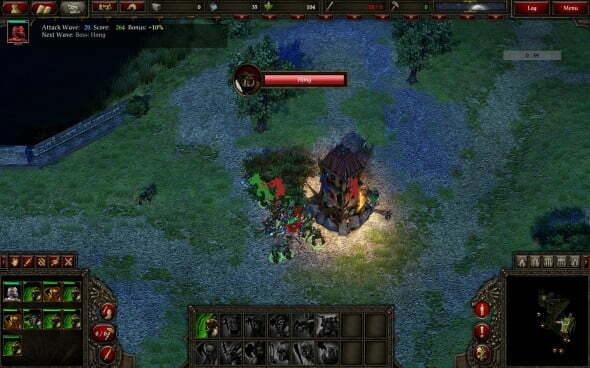 Think Diablo, Warcraft, and Dungeon Siege all mixed together in one game. 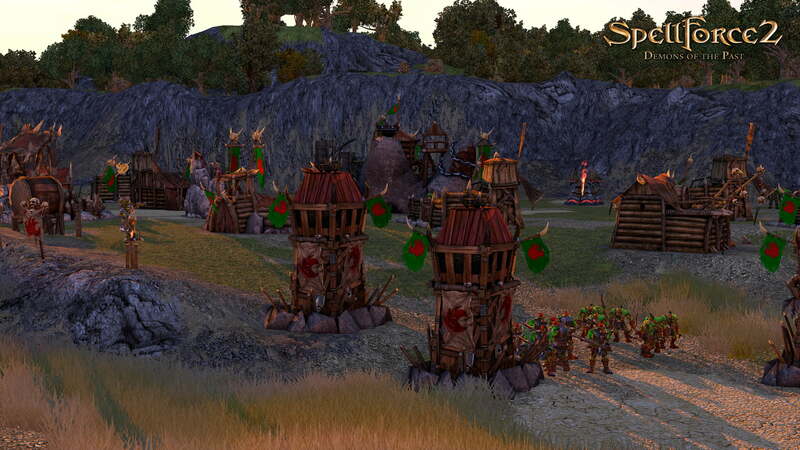 An orc camp featuring some formidable defenses. Before we dig into the meat of the review, let’s recap the franchise, because the history will give some important context for understanding the strengths and shortcomings of SpellForce 2: Demons of the Past. Following the success of Blizzard’s Warcraft 3: Reign of Chaos, German developer Phenomic Game Development entered the hybrid RTS/RPG genre in 2003 with SpellForce: Order of the Dawn. While the game receive mixed reviews (most notably for its inadvertently hilarious voice-overs and water-thin plot), it was highly praised as a daring experiment in multi-genre fusion. It didn’t innovate whatsoever in either the RTS or RPG genres, and it mixed these two awkwardly, but as a proof of concept it succeeded immensely. Phenomic released SpellForce 2: Shadow Wars in 2006, and managed to improve on their formula so much that it can be considered one of the best hybrid RPG/RTS’s ever made. It was a vast improvement that pleased critics and fans of the original SpellForce alike. EA certainly seemed to like what they saw: they purchased Phenomic in 2006, leaving JoWooD without a developer for SpellForce. After JoWooD declared bankruptcy in 2011, Nordic GmbH purchased it and handed SpellForce development to Mind Over Matter Studios. 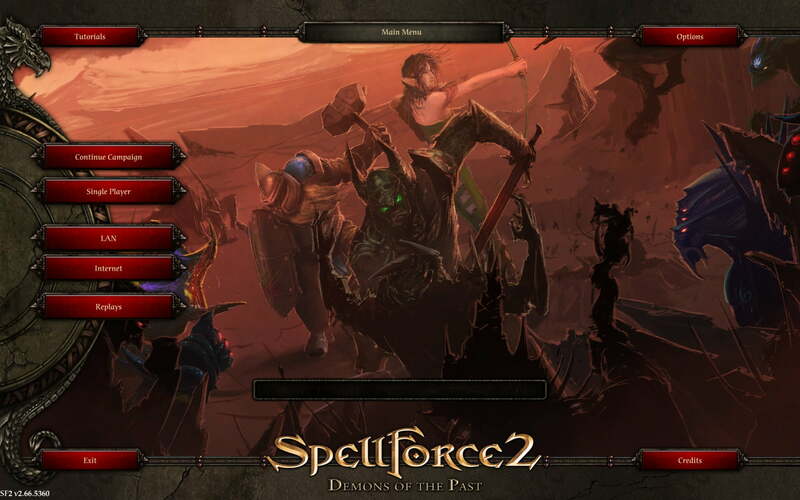 So, in 2012, with a new developer and a new publisher, SpellForce 2: Faith in Destiny was released, followed two years later by SpellForce 2: Demons of the Past. And with that history out of the way, let’s look at how SpellForce 2 has fared in the 8 years since it’s first iteration. On first glance of the menu, you can tell that all of the game modes available in SpellForce 2: Shadow Wars are still available. If all you want to play is an RTS, either with friends or against them, you have the option. And while SpellForce has never been the most tactically interesting RTS, it is definitely in the game’s favor that it allows gamers to play it how they want to. The real star of the show for SpellForce has always been its campaign mode, so I went straight to that option. So next we get to character generation. Oddly, and surprisingly, the available faces for heroes are identical to those in the character generation screen in the original SpellForce 2: Shadow Wars released 8 years ago. However, something was definitely off. I wouldn’t figure it out what it was until after the cut-scene that begins the game. After a tasteful, minimalist cinematic (right-sized for a small studio), we go into a cut-scene using in-game models. Then the problem becomes apparent and unignorable. Every texture on every model has had extreme embossment applied, and indiscriminately so. No fine scalpel was used here; they put it on every texture of every character. To be honest, it reminds me of some of those really bad fan-made Skyrim “graphics tweaks” that just ruin everything. Somehow, amazingly, they took 2006 graphics and made them worse, not better. Almost ruinously worse. From far away, it’s ok; but once you come in for close-up dialog, it’s hideous. It stretches believability to think that QA could look at these cut-scenes and think this was an improvement. Other than this, graphics were not appreciably changed in any other area, with the exception of better use of colored lighting to add vibrancy and mood. The gameplay is what you would expect from SpellForce 2. It’s solid, it works, it’s a time-tested formula. DotP does not deviate in this respect and I found the gameplay every bit as intuitive as its predecessors. There were some quirky bugs that separated my avatar from my followers after dialog scenes, but were easily solved with the “Summon followers” button so I won’t belabor that point. Again, there isn’t much to say except that it is identical in gameplay to Shadow Wars. If this doesn’t mean anything to you because you didn’t play the aforementioned game, then my next point is for you. This game is meant to be played by veterans of the SpellForce 2 franchise. There are no in-game tutorials, no catch-up cut-scenes, no expository opening text. You start in media res, with several NPC’s discussing events from the end of SpellForce 2: Faith in Destiny. Now, I won’t dog them on this; many fine franchises do the same thing. As a matter of personal taste, however, each iteration in a series should offer the opportunity for new players to “jump in” through recaps and the kind of incredibly helpful tutorial that started Shadow Wars. This is especially true of stand-alone expansions, which do not even require the original game to play. The dangers of expanding without adequate support. The AI zergs early and often. As for the quality of game play, the SpellForce franchise remains challenging and fun. The AI is not complex, but does employ enough zerging techniques to require a balanced opening game. At it’s heart, SpellForce 2 is a standard RTS. You build, you explore, and you fight. One area is a disappointment for some is the lack of clear role definitions for each unit. Unlike other RTS’s that have a rock-paper-scissors approach, SpellForce seems to forgive the “build whatever” approach and throw your armies en masse at the enemy. Unlike, say, Starcraft where unit composition is a matter of exactness with no margin for error, SpellForce allows for a sloppier, less organized approach. Not that there is anything at all wrong with this; the RTS element is only half of the game, and it does well not to overwhelm with player with all the minutiae of a more tactically in-depth RTS. Survival mode is new; you control a single hero, and you summon helpers by defeating endless waves of attacks. Periodically you receive mini-quests that add to your experience. When you get tired of building and just want to kill monsters and take their stuff, this is for you. Survival mode pits you against unending waves of monsters and bosses. Another applaudable improvement is the ability to play the campaign cooperatively with other players. However, despite the addition of new modes of play and new playable factions, SpellForce 2: Demons of the Past feels and looks more like DLC for an 8 year old game. With no significant updates to gameplay or graphics, this game was made to appeal to fans seeking closure for the story. SpellForce 2: Demons of the Past is not really a standalone game. It is, rather, the last gasp of an excellent franchise that is far past its prime. But, for the price, it’s just right. Just beware: this is not the place for a newcomer to jump into the SpellForce franchise. Brandon lives in Augusta GA, where he slings code for a living. His Warcraft /played is longer than some felony prison sentences.